Okay, so I know it is a bit of a survival cliché. Everybody can think of a war movie where people are hiding out in bunkers, or one where a conspiracy theorist is heading underground. However, do not be so quick to make assumptions. The fact of the matter is that an underground shelter is a very good idea for many reasons. A bunker is the safest place to be during any storms with high winds. 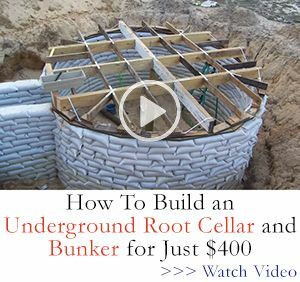 When it is not in use, it can be great for storage or can even serve as a root cellar. If ever there is a scenario where you need to separate yourself from other people, a bunker is the place to be. This could be riots, military invasion, or pandemics. If you need clean air during a chemical attack, nuclear winter, or volcanic eruption your bunker is the only option. Studies have shown that even being a few feet underground with the proper air system could easily save people from a nuclear blast. If you are willing to put in the time and effort, it is a pretty darn good idea. The first potential step of building a bunker is a bit controversial… getting permission. Legally you are required to get a permit before doing any major digging on your property. I know many preppers are concerned that any evidence of prepping is being tracked by the government. In a way, telling anybody that you are building a bunker is putting yourself on the grid. However, you may draw more attention if the authorities decide to give you a hard time. They could easily fine you and force you to fill in all your work. If nothing else, you need to have your property marked by the utility companies so you are not digging up water, power, or gas lines. The next point I have to emphasize is safety. This is not a little project. If you have only one foot of soil on top of your shelter and it is not structurally sound, it will collapse. Dirt is heavy. You will also likely be using some heavy equipment and power tools. Do not use equipment you are not comfortable operating. If you do not design your ventilation system properly, you will suffocate. If you dig too close to your house, the foundation could give way. There are a dozen ways to get hurt building your survival bunker. These scenarios would really defeat the purpose, so be careful and take your time. Now it is time to plan. A solid structural plan is absolutely vital for an underground bunker. One of the first questions of planning is where to put the bunker. You can build under your home, but that can drastically affect your home’s foundation and utility lines. Also, if your home collapses in a disaster then your exit is blocked. Next you need to be prepared to dig. Test the soil in your desired area and know the challenges. Sandy soil will act differently than clay soil. You may even hit a slab of rock a few feet down. Be sure there are no large tree roots in the area. Please know these things before you start any serious digging. You will need to plan a spot for the mound of removed dirt well away from the hole. Many people make the mistake of putting the pile too close. Just a little shift and it could cave in. Remember that you do not have to be buried for this to kill you. If you are buried above your naval, the pressure from the dirt on your torso can keep your lungs from expanding. Plan to have the proper equipment. Sure you can use a pick and shovel, but it will be a very long project. Normally renting or borrowing some heavy equipment is a good idea. As for the underground structure itself, you have a few options. Probably the WORST would be to buy a shipping crate or to have a premade steel structure . These options are pricey but the shipping container is also dangerous. The shipping crate absolutely must be reinforced to hold the weight, and you’d have to live in fear that it could still collapse. Wood is also a poor choice for an underground structure. Even when properly treated, lumber can rot over time. It is also not structurally sound to handle the weight with which you may be dealing. If you are having a prefab structure, insist on extra steel reinforcement. If you are reinforcing a crate, you should use steel beams. Possibly the best option is concrete. It is inexpensive, simple to use, strong, permanent, and can be molded to any shape. A good concrete floor with poured concrete walls and ceiling are plenty strong as long as they are reinforced with steel rebar. Maybe you are thinking about doing some tunneling. Think again. This is time consuming, frustrating, and very dangerous. I realize it may be cheaper that getting out the heavy equipment. However, you have to think of your time as money. All building materials will have to be dragged into a tunnel to build your walls. In the meantime, you have to constantly move scaffolding around to support the ceiling. After all this work and risking your life, you will wish you had taken the time to do it the right way. Weather needs to be considered on a few different levels. While building, rain can absolutely ruin your project. Try to find a dry season to get the bulk of the work done. Even once the shelter is built, rain can be an issue. It can cause concrete to crack and bricks to crumble. You should really put a waterproof lining all the way around your structure to protect it from moisture. In addition, a sheet much larger than the roof of your shelter should be spread out before topping off the dirt. The less water that gets to the structure, the better. Cold is another factor. Extreme cold conditions can make soil expand and contract. Factor this in when you choose your design. There are a few interior features that are a good idea. Sound proofing is not expensive. You can use anything from foam padding to egg cartons to save money, or you can get professional sound dampening materials. Ventilation is absolutely essential. You will have to do your research on which system you need, but all will need access to air, fans, and likely a filter of some kind. Some systems will only filter dust, while others can even protect from radioactive fallout. Electricity will need to be supplied, preferably from a generator or solar source. Certain items such as the ventilation and an emergency light should be hooked to backup power as well. If you can run water from a well to the bunker, this would be ideal. A filtration system is a good idea in case the water is contaminated. Sewage is a separate issue. You can go for a composting toilet, or set up a septic system with a leach field. Concealment should be a priority when designing your bunker. If you build it under your home, this is already accomplished. However, bunkers away from your home can stick out like a sore thumb. Entrances can be disguised as manholes or can be covered with a movable object like a fake planter or a kiddie pool. A shed can be built over your entrance to give you another layer of protection. Anything that would stick out of the ground should be concealed. Ventilation tubes can be surrounded by planting rocks. Radio antennas can be buried along the surface of the soil or can be run inside a flagpole. Locks are very important as well. You may want to consider a dual door system, and each door should lock from both the inside and outside. Remember that your goal is to be 100% certain that you can separate yourself from other people. How prepared should we be? 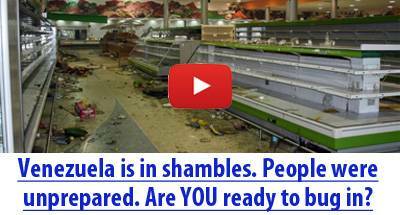 The experts say that the average SHTF situation will last between two and three weeks. However, we can all imagine situations where this could stretch into months. Anything you can build that will give you an ongoing supply of resources is best. Build a clean water supply, stash a hydroponic garden, grow catfish, or do anything else that can keep you going long term. As far as hoarding supplies, that depends on the amount of space you have, the money you want to spend, and how far you want to take it. A little interior design can go a long way. You do not need to spend a great deal of money, but having nothing but a hole in the ground is not smart either. You need a comfortable place to sleep, so some cheap beds or cots are in order. Your goal is to keep your time in your bunker as civilized as possible. Have a living area with places to sit, books, games, and maybe a TV. Have an eating area if you have the space. Make sure there is plenty of lighting. Remember that there will be no natural light, so go overboard with the lighting. For privacy use curtains to separate the space. Even a cheap throw rug or a few pictures on the walls could be a good idea. If you have never been through it before, living in a confined space for weeks or months is very difficult. Any little detail that normalizes the experience is vital. If you are considering this project, think carefully. There are dozens of scenarios in which a bunker could save the lives of you and your family. However, it is an expensive, time consuming, and difficult venture. If you have unlimited resources you could have it done in weeks, but for most people a bunker is a project that will take several years. If you build away from your house you can plan on staring at a giant hole in the ground and a mountain of soil next to it. If you build under your home it could become drafty and moldy. You could be lugging equipment in and out tracking mud on every trip. If you are not careful, the building process can be very dangerous as well. 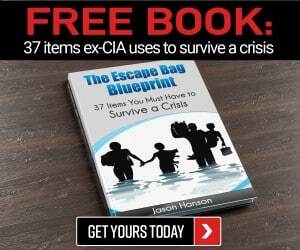 All that being said, it can be a very beneficial project for the right preppers. If you truly want to be prepared for any SHTF situation, a bunker is your best option. 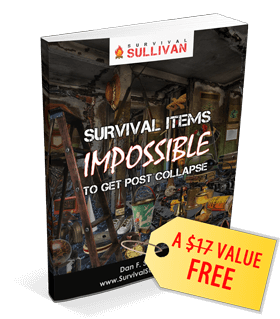 If you are one of those preppers, then all you have to do is start digging!